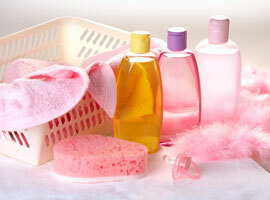 We customize product specs, features and packaging to meet the diverse needs of our clientele base. Our ability to tailor a wide variety of products to specific market requirements, enables our customers to maintain a competitive edge. Competitively priced, available in sizes 1 (Newborn), 2 (Small / Mini), 3 (Medium/ Midi), 4 (Large/ Maxi), 5 (XL/ Junior) and XXL, in varied absorption capacities (from moderate to high), features, packaging options, bag counts (diapers per size per bag), bags types (printed or clear), and master packaging (corrugate cartons or polybags). Standard features include patterned/ printed Cloth-like – breathable backsheet (coversheet), frontal landing zone, Hook & Loop (*Velcro-like) fastening tabs, inner leg cuffs, elastic waist band and / or elastic (stretchable) tabs. Optional features and upgrades include customized patterned (printed) coversheet, stretchable elastic side panels, colored standing leg cuffs and many other matching options to international / store brands features. 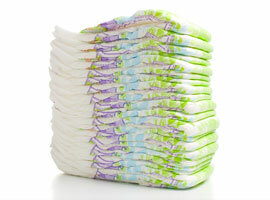 A complete baby wipes selection available in a several non-woven material choices, varied weights, wipe dimensions and in numerous skin care formulations and claims. 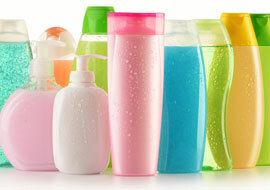 The many packaging options include tubs, soft packs (flow-packs) with re-sealable labels or flip-top dispensers. 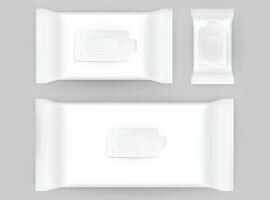 The multiple product choices (materials, formulations, packaging configurations) allow selling competitively priced, high quality, brand matching baby wipes in very demanding market settings. Also incorporated in our Baby Care Products program are brand matching choices of diaper rash creams, baby oil, baby lotion, petroleum jelly, baby wash, baby shampoos & conditioners, cotton swabs as well as other related items.